Garnet Sand is a popular name in the chemical, mineral and construction industry. Ever wondered what is it? This article explains you everything you need to know about Garnet Sand. Garnet Sand is composed of various minerals and is of three types: Aluminium Garnet, Iron Garnet and Chromium Garnet. General Chemical Formula is Fe2 O3Al2(SiO4) 3 where Iron and Aluminium are replaceable by Manganese, Magnesium and Calcium. Garnet is a group of homogenous minerals with similar properties like insoluble in water, angular shape, slight conductor of electricity, inert, non hygroscopic, translucent etc. 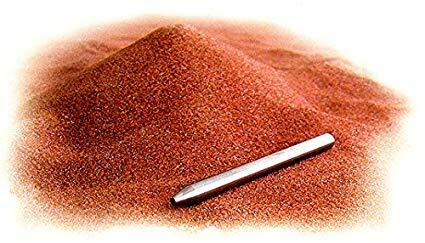 Garnet sand is granular in nature and available in various powder sizes. It container approximately 42 percent of Silicon Oxide, 20 percent Aluminium oxide, 12 percent Magnesium Oxide, 3 percent Calcium oxide, 10 percent Ferrous oxide and 13 percent Ferric oxide with traces of Manganese Oxide. 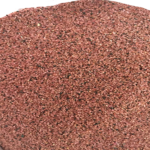 Garnet Sand has various applications in chemical, construction and mineral industry. 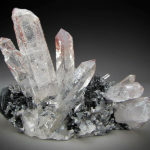 It is used extensively as semi precious stone in jewellery making. It is used to provide friction while constructing anti skid surfaces. Garnet Sand is an excellent abrasive. This is why Abrasive Garnet is widely used in sand blasting as a replacement of Silica sand. Since Garnet Sand has granular particles, it makes it more apt in blasting treatments. Abrasive Garnet is also used to cut steel in water jets because when used in conjunction with high pressure water Garnet sand is an excellent abrasive. Garnet paper is created from Garnet Sand that is used by carpenters to give finishing to wood furniture. In water filters Garnet sand is used as a filtering medium. It removes suspended impurities in the water and helps heavy particles settle down. One of the major uses of Garnet is as Abrasive Garnet. It is further of two types: blasting grade and abrasive grade. In blasting grade, Garnet particles are larger than 250 micrometres and used extensively in blasting treatments. The Abrasive grade Garnet has particles between the size of 75 micrometres to 250 micrometres. It is normally used in water jet cutting as explained above. 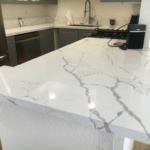 Overall, the Garnet Sand having larger sized particles is used to give fast and sharp results while the one having smaller sized particles is used in giving finer finishing. I hope this blog helpful to you. For more detail about Palash International just Call +91-8003111855 or visit at http://www.palashinternationals.com. Or Email prince@palashinternationals.com.